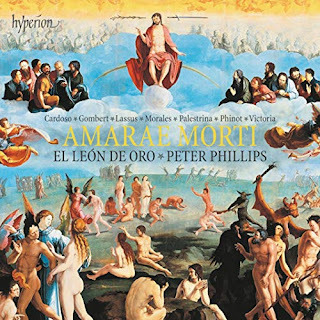 Now here is a delightful disc made to an interesting recipe: Lamentation texts in alternation with joyful settings of Regina caeli sung with passion and puppyish intensity by a large and charismatic chamber choir directed by the éminence grise of Ars Perfecta, Peter Phillips. The result has the air of joyful adventure about it; proudly choral (as opposed to consort) but with absolutely captivating clarity. [...] Their sound is soft, warm and favours long flowing phrases over bulging points of imitation. In short, they sound the way Mensurstriche looks. Yet, in comparison to many British ensembles their balance is slightly bottom-heavy, but the lower voices make such an attractive sound in the resonant acoustic of Iglesia de Santiago el Mayor, Sariego, Asturias that it often works in their favour. 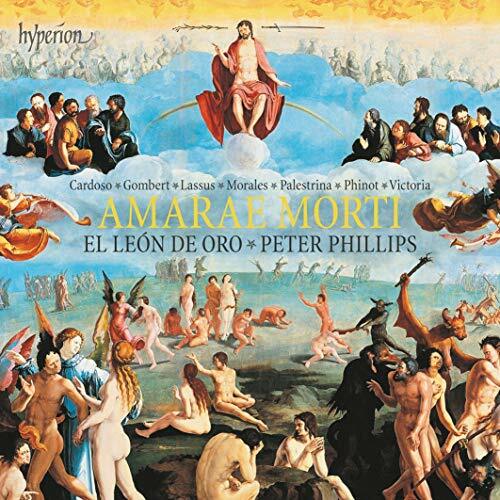 In particular, I love the passage "Cervicibus minabamur" (Our necks were threatened) in Phinot’s Lamentation setting in which the lower voices create great shimmering puddles of rich polyphony. The words are occluded but the sound is sumptuousness itself.